Yes, I do sometimes know what I'm talking about. There are many times I'm wrong (I've always tried to do my best to admit my mistake and apologize), but every once in a while, I know what I'm talking about. Ben is 15. Yep. 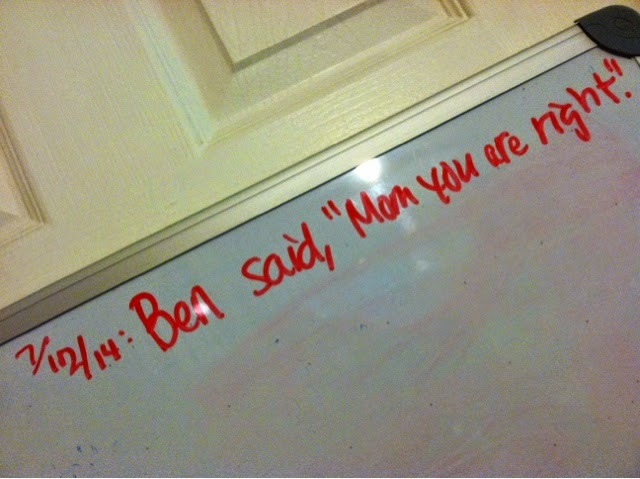 Ten to 20 is about the right number of years until I hear these words from my sweet boy young man.